The holidays are over and it’s time to get back into the regular schedule of school, jobs and life in general. If you are a grandma or grandpa raising your grandchildren, you are probably looking forward to the structure of a normal schedule. You may also need support in any of a hundred ways when it comes to dealing with the problems and joys of raising young children in our older years. There are many thousands of seniors in similar situations. Why not connect with some of them? 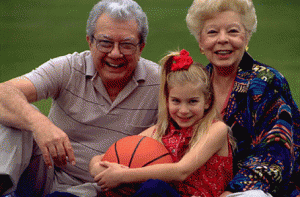 Here are some blogsites written by those raising their grandkids and also some support websites with forums and resources for those taking on the responsibilities of childrearing in senior years. If nothing else you’ll be able to find others going through some of the same challenges you are and you will, no doubt, also share some of the same joys.